Happy May! Hope you had a great weekend! We had so much rain. It started Friday and ended just in time for the weekend to be over. While out shopping, I found this lace dress at Target. It was $28 dollars! It is part of the Victoria Beckham for Target collection! I got this dress in the girls' section. I'm wearing an XL and it fits perfectly. After finding a great deal, I wanted to share some of my favorite dresses! This mustard lace dress is a favorite of mine. I also love this scalloped lace dress. Such a cute and unique spring dress! Love it! I love the color of that dress! What a great Target find. I love a good, affordable dress. I have been wanting to get more dresses...and this one is so pretty!! That lace dress is so pretty. I love wearing dresses, but chasing kids doesn't always make that practical, hehe. That dress is so cute on you! I saw it online, but they didn't have it at my store. I wanted to buy the entire collection! Beautiful! Love the bag too! The dress is too cute!! Great post! I always get in major Buy All The Dresses Mode this time of year! 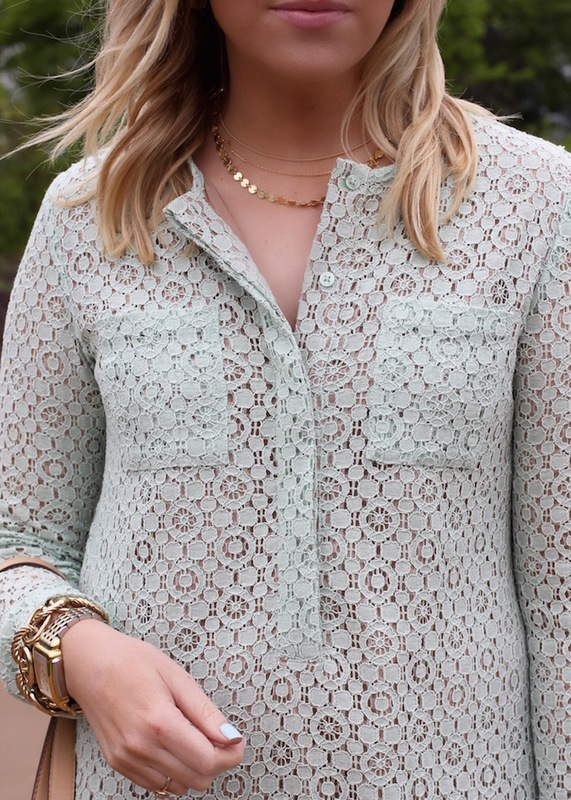 Love this pretty lace one on you!